Searching for the best senior living Beaverton Oregon has to offer? We invite you to take a closer look at MorningStar of Beaverton. Consider our broad array of amenities and programs, designed to address our residents’ every need. Our community offers 66 graciously appointed suites for assisted living with a choice of spacious studio, one-bedroom and two-bedroom floor plans. 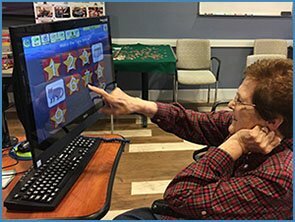 We also have 38 secure memory care suites devoted to the individualized, specialized care of those with memory impairment caused by Alzheimer’s disease or other forms of dementia. 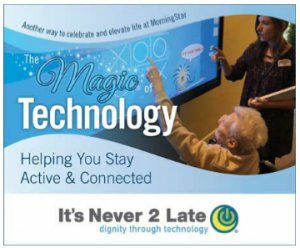 MorningStar of Beaverton offers a lifestyle of wellness, comfort and community through these amenities and programs. While MorningStar of Beaverton is honored to provide our residents with a wide range of meaningful programs and services, we are truly proud of our devoted care team who finds great fulfillment in impacting the lives of our seniors. Our exceptional care is dispensed under the guidance and philosophy of our Radiance program, which celebrates an attitude of selflessness that issues from a deep and sincere place. Our assisted living is set up to meet our residents’ needs by offering various levels of support with daily living activities. A personalized Care Plan is determined after a thorough assessment with our Wellness Director that is in agreement with the senior and their family. For our memory care residents, we take a holistic approach to dementia care that supports choice and independence and, above all, affirms individual dignity and value. Please contact us to learn more about the finest senior living in Beaverton. MorningStar of Beaverton is pleased to provide the area the very best in senior living with our unique mission statement of “to honor, to serve, to invest.” Our foundation is built on honoring God, valuing all seniors and selecting staff with a felt calling to serve and we strive to create a true home for residents in a beautiful setting. Contact us to schedule a tour to experience the finest senior living Beaverton Oregon offers.